Visit with Love, Alabama author Susan Sands! Hello everyone! I’m thrilled to be here today, and am especially excited to introduce Love, Alabama, my second Tule novel. I write small town Southern romantic stories with lots of humor and family in the mix. Again, Alabama was released last June, and while the two stories share a common setting and family, they can read as be stand-alone books. I grew up in a tiny town in northwest Louisiana where everybody knew my name and every dang thing I ever did. It’s like that in most rural areas, I suppose, but at the time I believed it to be a stifling existence. I read everything I could get my hands on, and when I outgrew Nancy Drew mysteries, I turned to Harlequin romances. Romance novels are still my escape and virtual adventure when reality isn’t quite cutting it. 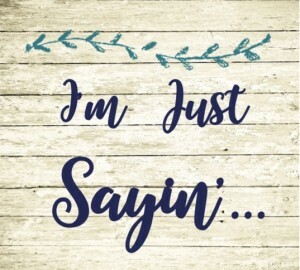 Don’t get me wrong, I’m a happily married woman of nearly twenty-seven years, but I still love to take a journey with a hot twenty-something firefighter, billionaire, or marine, or, go back in time to another century with a duke or pirate. Sigh. I grew up in Louisiana, I live in Georgia, but I write about Alabama…hmm. 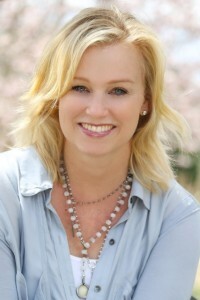 You can find out what that’s all about on susansands.com, my website! I love connecting with readers! Susan Sands grew up in a real life Southern Footloose town, complete with her senior class hosting the first ever prom in the history of their tiny public school. Is it any wonder she writes Southern small town stories full of porch swings, fun and romance? Susan lives in suburban Atlanta surrounded by her husband, three young adult kiddos and lots of material for her next book. I love small towns! My dad’s hometown is a wonderful small town in NE Tennessee. It’s always felt like a second home to me! That’s cool y’all started the first prom! Hey Denise! Yes, it was truly a “Footloose” town! I loved your book “Love, Alabama”! The cover is amazing too! Trixie Beldon was my go to books growing up. Romance novels and listening to George Strait are my ways to escape and refuel. 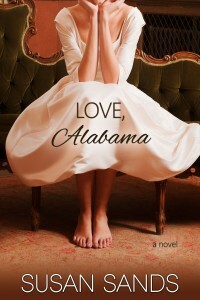 I haven’t read “Again, Alabama” but it is on my TBR list. I look forward to your next book. Thanks for the wonderful escape! I’m so glad you enjoyed Love, Alabama, Kay!! I love King George–he’s a voice from my childhood and my present. I grew up in the suburbs of Chicago but then my husband got a job in rural Kansas, where our kids were raised. Loved the feeling of small towns. Still need to read your new release! Hi Shari! Please let me know what you think of Love, Alabama! Raising children in a small town definitely gives one a sense of “home” and belonging. Read and loved both the books! How many do you think will be in the series? Of the books you have written, which is your favorite? Congrats on the books Susan. Awesome, Christine! So far, I’ve got three books planned for this series. Favorite? Hmm… I’ve just re-written my very first book (that hasn’t been published) and hoping for good things! So, right now, I’d have to say that one. But if you ask me tomorrow, the answer might change! Thanks for your support, Christine!! Speaking of Footloose I used to live on a farm and when Mom sold if a High School was built on it and that was where Footloose was filmed and I still live in the same town. Love Alabama was so good really enjoyed it. I grew up in the big city of Chicago and now in St. Paul, MN but love reading about small towns. Maybe because so many stories are placed in them. Many because of the close knit community. Although, we still have some of that close knit community even in a large city.